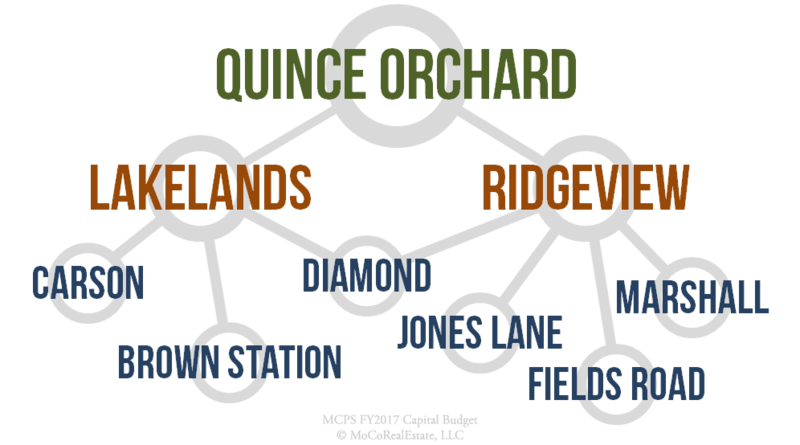 The Quince Orchard Cluster is located in middle of Montgomery County, south of I270 and is bordered by the Northwest Cluster, Wootton Cluster, Gaithersburg Cluster and Watkins Mill Cluster. Homes in North Potomac and Darnestown articulate to the QO Cluster. The median home price in the Quince Orchard Cluster is around $420,000 making it a moderately affordable cluster in Montgomery County. See all homes for sale and homes by price break in the Quince Orchard Cluster below. Always verify a home's school assignment directly with MCPS.